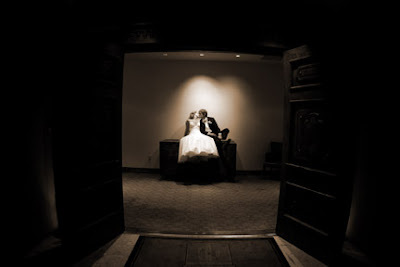 Meredith and Andrew were married in March at Paradise Valley Country Club. This amazing affair was coordinated by Life Design Event Planning. 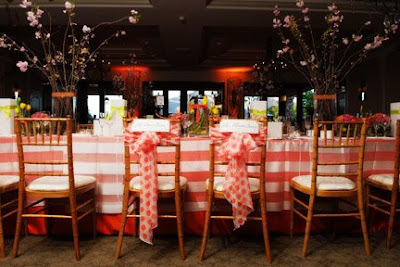 The vibrant floral and linens were designed by Table Tops, Etc. 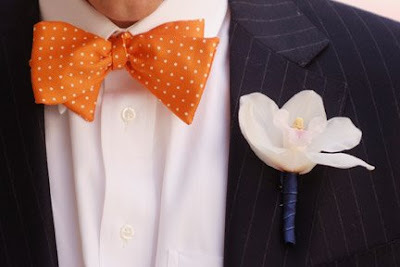 and BBJ Linen showing the brides bright personality with colors of white, orange and pink. The bride and groom went all out for this wedding, from a bagpiper, Eric Landau, to a 10-piece band, Groove Merchants, they really included extraordinary entertainment for their guests to enjoy. 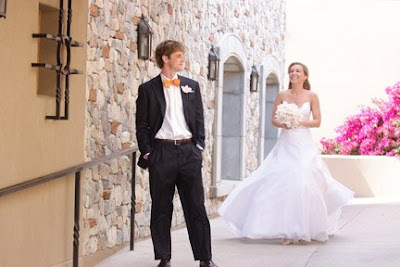 The night was full of love, laughter, and fun to leave their guests with a day they would never forget. Check out some of the highlights below. Photos provided by the fantastic Greenlight Photography. 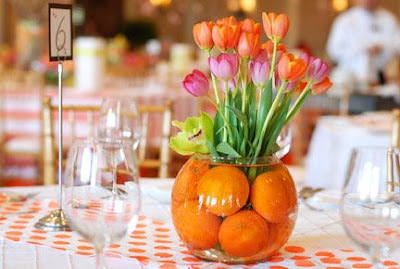 Fresh, colorful orange centerpieces by Tabletops, Etc. 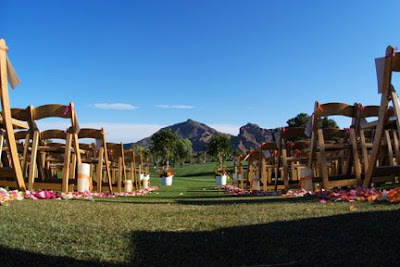 Breathtaking view for the ceremony at Paradise Valley Country Club. The Bride & Groom's table where they sat with their families. 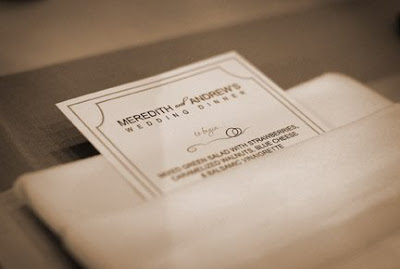 Menu cards created by a friend of the family. Andrew's bow tie to match the evenings theme. The Bride and Groom chose to see each other first. A different twist on things, Meredith had 'Pink Ladies' instead of bridesmaids to include all of her closest friends on her big day. Congratulations to the gorgeous Bride & Groom!